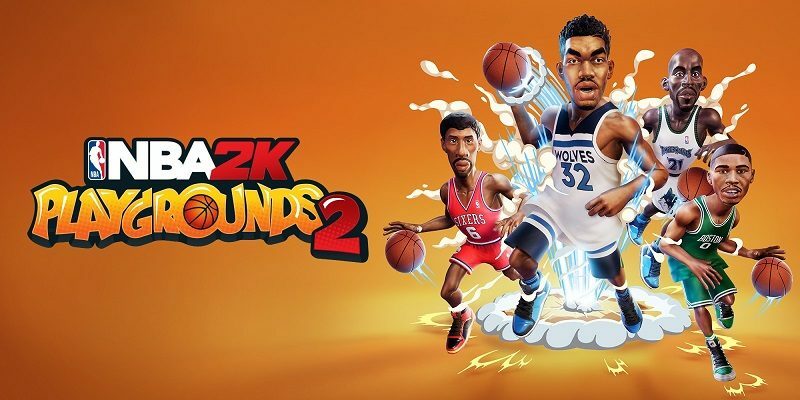 In this post, you will find all there is to know about the Software updates for NBA 2K Playgrounds 2 (originally released on October 16th 2018 in Europe, Japan, and North America). How to download updates for NBA 2K Playgrounds 2 for the Nintendo Switch? NBA 2K Playgrounds 2 – Ver. ??? Addition of new Halloween playground. Halloween themed Outfits are now available via Swag Packs unlocks. Addition of new lottery pick – Ankle breaker. Kareem Abdul-Jabbar is now available to be unlocked. Character’s speed has been increased by 10 ~ 14 %. Blocking rate has been increased slightly for 2 and 3 pointers. Success rate has been increased for 3 pointers. Fix to help prevent failed passes when a player stopped running. Improvements of Lag Compensation for Dunks and other actions while playing online. Fixed Shot meter not appearing in some conditions. Fixed incorrect A.I. behavior while playing 3PT Contest local play. Other minor bug fixes for local and online play. Other minor Balancing adjustments following user feedback during Closed Beta. Best Player in each field is now marked in yellow on the Results Screen after a match. Additional notes: this update is not available yet on Nintendo Switch.